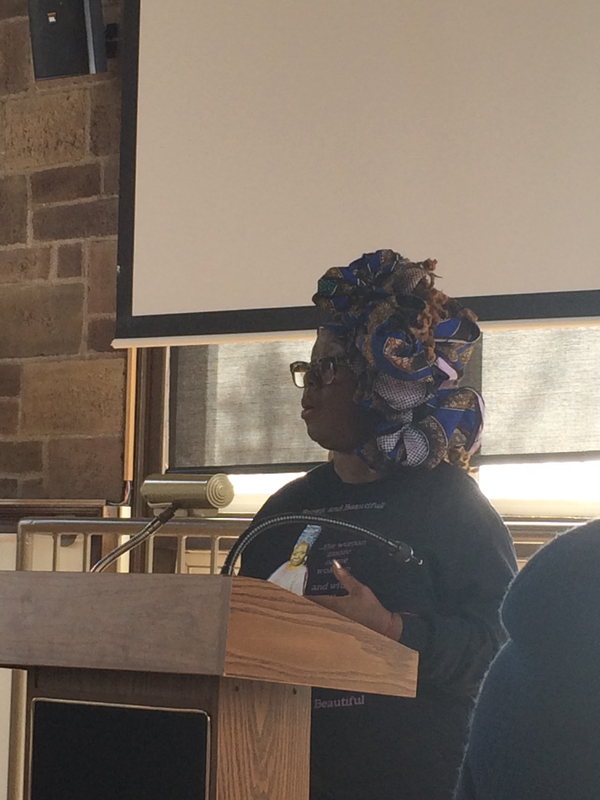 On Feb. 15 from 9 a.m. to 3 p.m., in the Multicultural Center’s Unity Room, Dr. Ellesia Blaque hosted the 6th Annual National African American Literature Read-in. The read-in featured poets Karen Moore and Robert “Brotha Blaze” Murray as well as student poets including Caleb Baukman and Free B. According to the National Council of Teachers of English at ncte.org, “the National African American Read-In is the nation’s first and oldest event dedicated to diversity in literature.” It was established in 1989-90 by the Black Caucus of the NCTE to ensure literature was regarded as an important part of Black History Month. 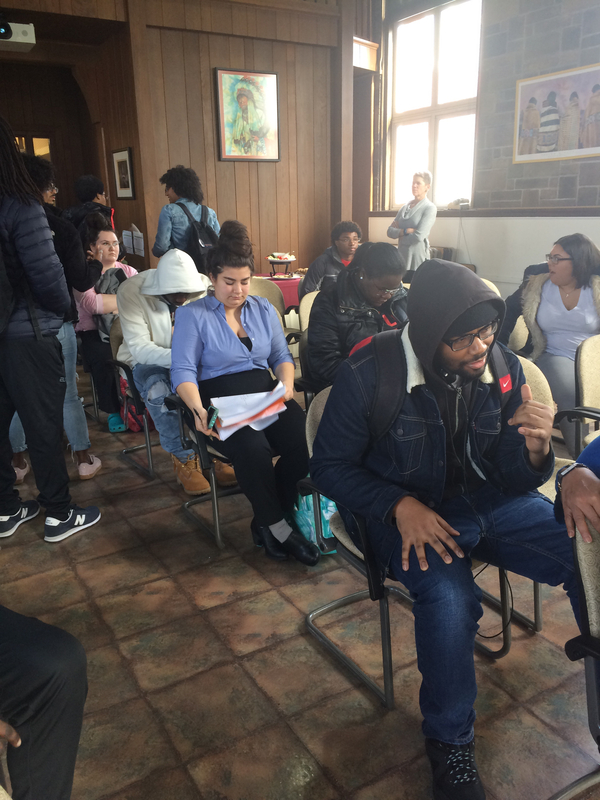 Blaque’s classes, as well as other attendees, came in and out throughout the day while Murray, Moore and other readers cycled through their poetry. Between sessions throughout the read-in, a reception was held for everyone to enjoy. Moore’s poetry book was on sale for $20 and Murray’s waitlist for his upcoming book was available for $15. Several poems that Murray read were “I Miss That,” “No Shoes” and “House Mouse. “I Miss That” was a nostalgic piece which provided commentary on growing up in an African American household. “No Shoes,” a bit more humorous but still passionate, joked about the myth stating if a man buys a woman a pair of shoes, she will wear them when she leaves him. “House Mouse” used a mouse pulling a house as a metaphor for someone striving for success being discouraged and oppressed by those around them. Moore presented poems including, but not limited to, “Dance With Me,” “You’re So Beautiful” and “Many Thousand Gone.” While “You’re So Beautiful” was a romantically humorous ode to a Mike Tyson calendar and “Dance With Me” was inspired by Moore’s parents, “Many Thousand Gone” took original poetry and mixed it with the lyrics to the spiritual song of the same name, dating back to times of slavery in America. Moore altered back and forth from fierce spoken word and moving song. Free B, author of The Black Book Diaries on boomblackdiaries.blogspot.com, read original poems including “Chameleon,” “My Sheets,” “Socially Awkward Society” and “48%.” Baukman shared an original poem commenting on and fighting against the issues that black individuals face in America. 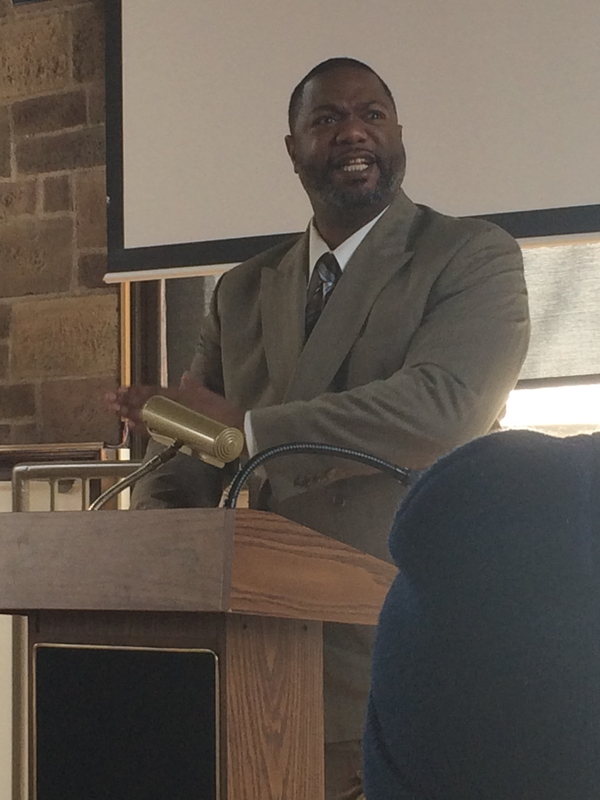 Several other audience members, including students and staff, shared works of African American literature as well.